Please mark your calanders for August 15, 2018 and make plans to join the APAM Annual Scholarship Fund Golf Outing at Bucks Run Golf Club, Mt. Pleasant Michigan. Don't miss out on this opportunity to not only support the APAM Scholarship Fund, but a chance to golf with your colleges and customers on one of Michigan's most Beautiful Golf courses! To register and for sponsorship opportunities please click here. We look forward to seeing you on the course! Any questions contact Beth at the APAM Office. APAM will hold our 63rd Annual Asphalt Paving Conference on March 6-7, 2019 at FireKeepers Casino Hotel, Battle Creek, Michigan. Make sure to save the date! We would also like to thank all that attended the 2018 Paving Conference and give a special thanks to our generous sponsors; AIS Construction Equipment, Alta Equipment Company, Astec, Inc., Bit-Mat Products of Michigan, Cadillac Asphalt, LLC, CWMF Corporation, Dillon Energy, Edw. C. Levy, Give Em' A Break Safety, Michigan CAT, Michigan Paving & Materials, Ontario Trap Rock, Stoneco and Rieth-Riley Construction Co.
Chuck Mills, APAM's Director of Engineering, represented the association at the 2018 Construction Science Expo. This marked the Eighth year of the annual event, which was held on May 22nd at the Michigan Science Center in Detroit. Approximately 1,000 Detroit Public school students attended the expo and learned about careers in the construction and engineering fields. Chuck manned a booth for APAM in front of the science center's scaled model of an asphalt plant. The students learned about asphalt pavements and how they are made, as well as job opportunities in the asphalt industry. The kids really enjoyed walking through the asphalt plant. 12SP-807K-01 GUARDRAIL APPROACH TERMINAL, TYPE 2M - Use in all projects calling for tangent, MASH-compliant guardrail approach terminals (Type 2M). The following FUSP updates/additions will take effect with the July 2018 letting. 12SP-208C-04 EROSION CONTROL, INLET PROTECTION, FABRIC DROP - Use in all projects containing the pay item Erosion Control, Inlet Protection, Fabric Drop. 12SP-911A-02 WATER - Use in all MDOT projects which have water, including Concrete, Mortar, Grout, Turf, Turf Establishment and Landscaping Plants, items of work. This FUSP is optional for local agency projects. 12SP-401D-01 PIPE ALTERNATIVE FOR CULVERT CLASSES - Use in all projects with the pay items Culv, Cl A and/or Culv, Cl B up to 48 inches in diameter and are on two lane, two way roadways with 20,000 ADT or less. 12SP-812FF-01 TYPE I SIGN COVER - Use in all projects with sign cover, Type I pay item. 12SP-812CC-01 LIGHTING FOR NIGHT WORK SPECIFICATIONS - Use in all projects. 12SP812DD-01 LIGHTING FOR NIGHT WORK - Use in all projects that include night work. 12SP-501JJ-01 FINE TEXTURE PAVEMENT MILLING - Use on all trunkline, one course, non-freeway mill and resurface projects where the integrity of the existing pavement makes it suitable to allow traffic to be maintained on a milled surface for up to 72 hours and where it is desirable to expedite the project schedule and/or increase production paving. Due to the 72 hour traffic restriction the specification needs to be accompanied by a liquidated damages specification. Do not use in local agency projects. The Association has been informed that MDOT will discontinue the use of Type NR Tape for temporary marking of base and leveling courses. Instead, Wet Reflective Type NR Tape will be required. This change is part of MDOT's initiative to increase safety. (Type NR Tape was the last temporary marking that was not wet reflective.) A revised Special Provision for Temporary Pavement Marking Revisions will be released soon and be included in all projects starting October 1st, 2018. Also, all the non-wet reflective Type NR tapes will be removed from the QPL on approximately October 1st. 2. I-696: West of Dequindre Road to Nieman Road, Metro Region - February 2018 Email Approval - Concrete Approved. 3. I-75: M-13 Connector to North of Beaver Road, Bay Region - HMA Approved. On June 23, asphalt plants are required to be in compliance with OSHA's Silica Rule for general industry activities. To learn more, view NAPA's free webinar, "Complying with OSHA's Silica Rule at Asphalt Plants and During Road Construction Activities" or this recent For Construction Pros article. By July 1, applicable establishments must electronically submit injury and illness data to comply with OSHA's Injury Reporting Rule. OSHA clarified that all employers must submit data through its portal even if their state has not adopted the new requirements. Employers are required to electronically submit the 2017 Form 300A, not the additional 300 log and 301 forms. For more on electronic reporting obligations for injuries, view NAPA's webinar, "Electronic Injury Reporting for Asphalt Plant and Road Construction Activities" and its companion Special Report. Also by July 1, EPA requires submittal of a facility's Toxic Release Inventory (TRI) information. 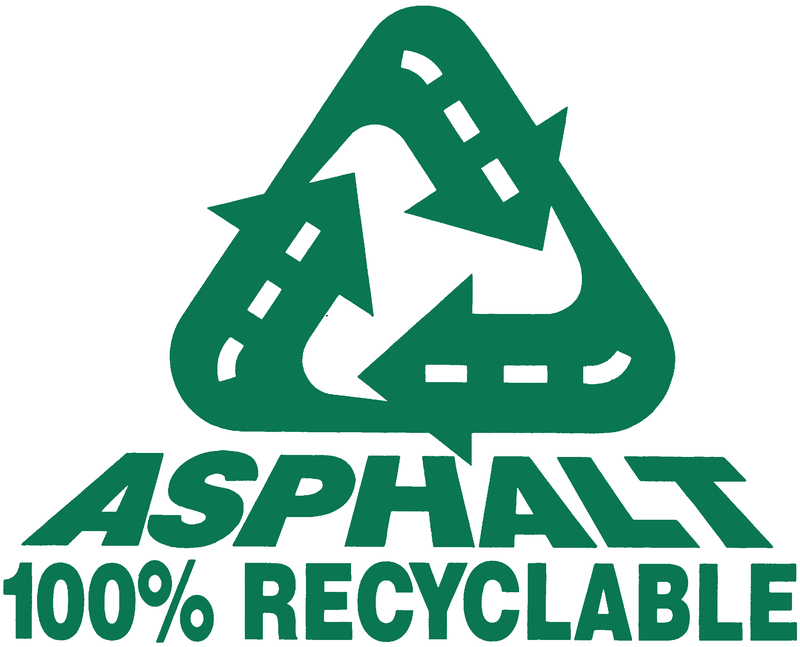 A cursory review of the EPA database indicates that less than 10 percent of all asphalt pavement mix production facilities have to submit TRI. Learn more via NAPA's free webinar, "EPCRA Reporting Requirements for Asphalt Plants." For more resources on these or other EH&S compliance obligations, visit NAPA's EH&S blog. Earlier this year, the Federal Motor Carrier Safety Administration ruled on NAPA's petition, granting the industry relief from some Hours of Service (HoS) requirements for drivers engaged in transporting dump trucks, equipment trailers, and specialized vehicles during asphalt-related road construction activities. Recently, NAPA released the third version of its Special Report 216: "Cutting Through Trucking "Hours of Service" Confusion: The Impact of NAPAs Exemption," which provides additional guidance on complying with FMCSA HoS using the NAPA exemption. Because the NAPA exemption references the transportation of "asphalt and related materials" and equipment, other trucking industries are now seeking an agency interpretation about what constitutes "related materials." NAPA's Performance Under Preasure: Heavy Duty Pavements webinar series delves into to importance of heavy duty pavements, their application, and benefits of asphalt pavements in heavy duty applications. Magnus paving functions as a diversified construction firm, providing clients with a wide array of services. With 25 years of asphalt and concrete paving and maintenance in Washtenaw County and surrounding areas, Sommerset Paving makes your paving needs our priority. Constellation, is a leading competitive energy company, offers a variety of options for you to choose from. Robert M. "Bob" and Ellen A. Thompson received an Honorary Doctorate of Humane Letters from Ferris State University at the May 5th Commencement Ceremonies in Big Rapids. Mr. and Mrs. Thompson have shown great devotion to helping disadvantaged students achieve the dream of higher education through the generosity of the Thompson Educational Foundation, which includes the support of nine nonprofit charter schools in southeast Michigan and the establishment of the Thompson Working Families Scholarship Program. At Ferris, this will provide up to $20,000 in financial assistance to nearly 150 promising students with the goal of helping them obtain their degree with reduced personal and family debt. Congratulations to Mr. and Mrs. Thompson for this well-deserved honor. Click here to view an article from Ferris which includes additional information and quotes. Earlier this year Mr. Thompson was inducted into the Asphalt Pavement Hall of Fame during NAPA's 2018 Annual Meeting. Thompson is also the only person to serve as chairman of NAPA, chairman of the NCAT Board of Directors, and chairman of the NAPAREF Board of Trustees. Mr. Thompson was honored for his work building long-lasting partnerships that continue to benefit the industry.